I think most peoples perception of the undoubted beauty of Colonsay is limited to daylight , but, as a semi-nocturnal person by way of profession, I have always enjoyed being outdoors during the hours of darkness. 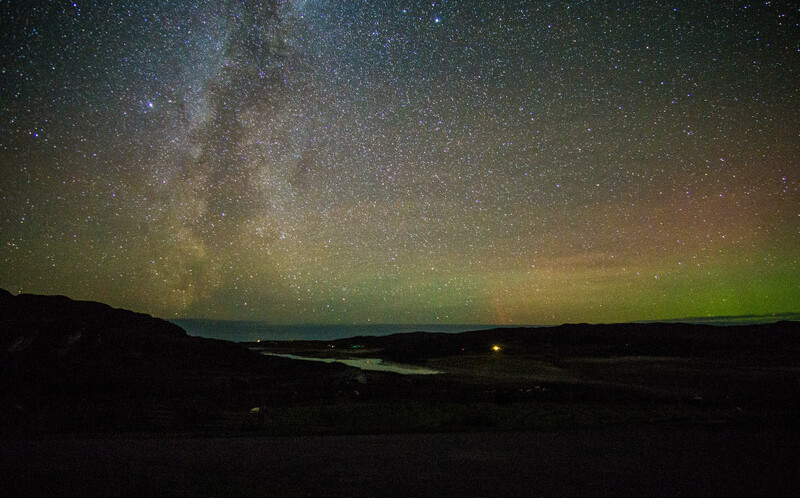 I always soaked up the tranquility of a Colonsay night, with very little in the way of manmade disturbance, and through this I became interested in Astronomy. 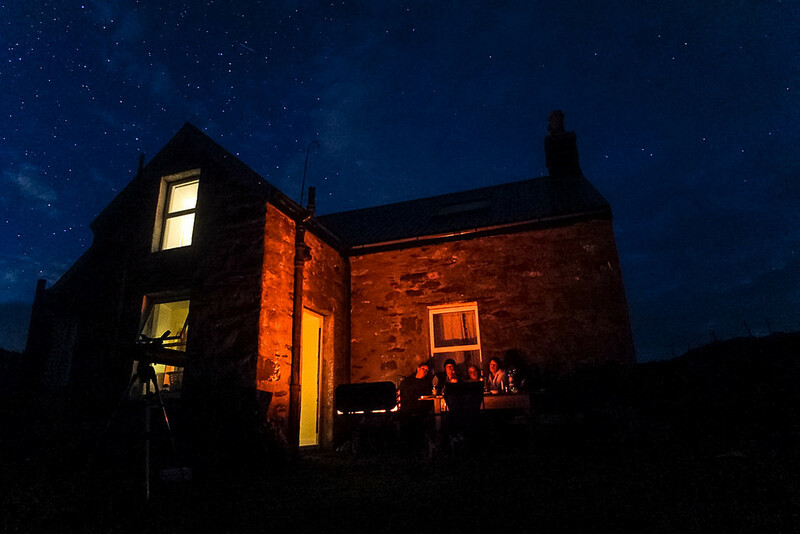 I don’t think any Mainlander can be anything other than gobsmacked at the starry skies on a clear Colonsay night, and I began to look at ways to try and capture something of that atmosphere. So armed with a camera and tripod, and very little knowledge, I starting experimenting with settings and timings, and gradually got results that although not perfect, encouraged me enough to keep trying. The equipment I use doesn’t cost a fortune, and through reading articles such as http://www.astropix.com/HTML/I_ASTROP/QUICK.HTM , good results can be had with most modern cameras. The trick is perseverance, and personally find having good company, a nice warm BBQ and maybe, just maybe, a small tipple helps the evening along nicely, as your Editor can testify! I hope these pictures may encourage others to try, and I if can offer any help when I’m on the Island, I would be glad to! Thanks Gary for some stellar pics!